A source said, “The incident happened on France Road. The man was shot because he allegedly did not stop when he was ordered to do so by the police. As news of the death of Tochukwu spread, many angry youths of Igbo extraction took to the streets in Sabon Gari to protest against the shooting. But the Chairman of Igbo Traders Welfare Association, Kano State, Chief Emmanuel Amadi, said Tochukwu died on Thursday, 24 hours after he was shot. Amadi stated that the protesting youths wanted the police to investigate the shooting and bring the offender to book. “The protesters are demanding justice. On our own, we have pleaded with them not to take laws into their own hands. All we are asking for is that the Tochukwu's killer be made to face justice,” he said. 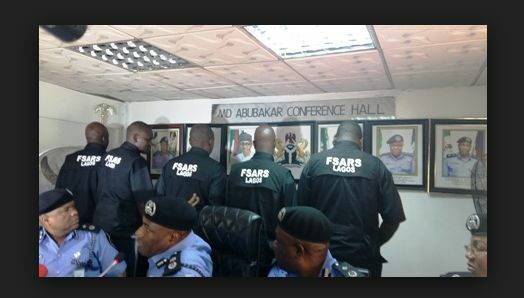 Kano State Police Command Public Relations Officer, DSP Magaji Majia, said, “The Commissioner of Police, Alhaji Rabiu Yusuf, has ordered the arrest and detention of the team leader and his men. “He also summoned the elders of the Igbo community in Kano to a meeting, where he sympathised with them and assured them that justice would be done.